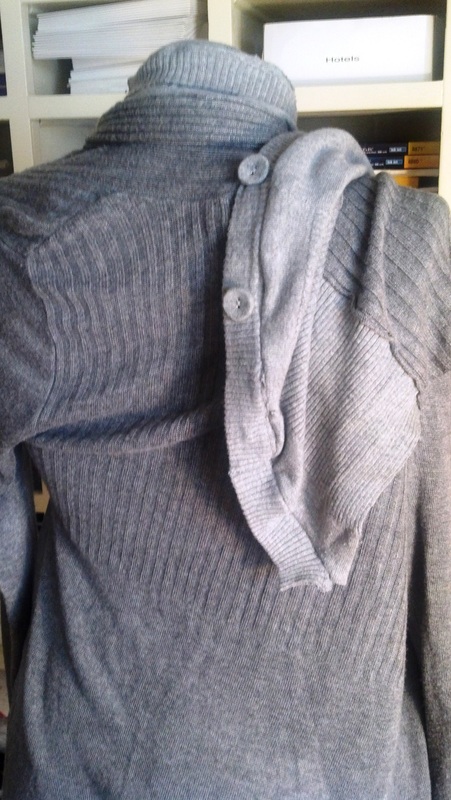 I had this cardigan which while I liked the material it was made from I always wore it belted because otherwise it looked a little dated. I had another cardigan that was almost the same color. This one was cropped and I NEVER wore it except maybe once in 2001. 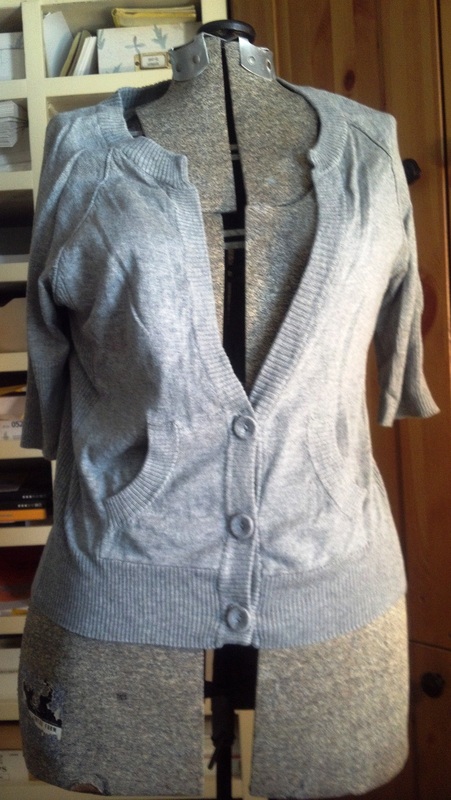 I cut up the shorter cardigan to make an insert that I stitched in place in a triangle shape under the right arm. 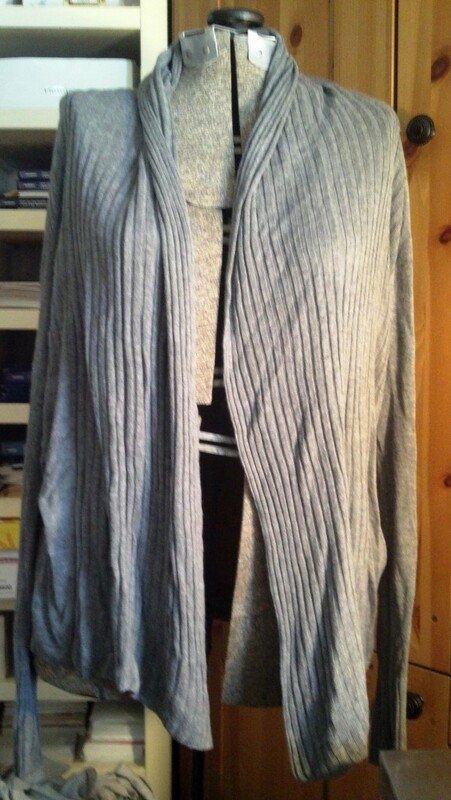 I cut up more of the short cardigan to make a long rectangle that I stitched to the top of the collar of the longer cardigan creating a wide piece that I could wrap around and toss over my shoulder. 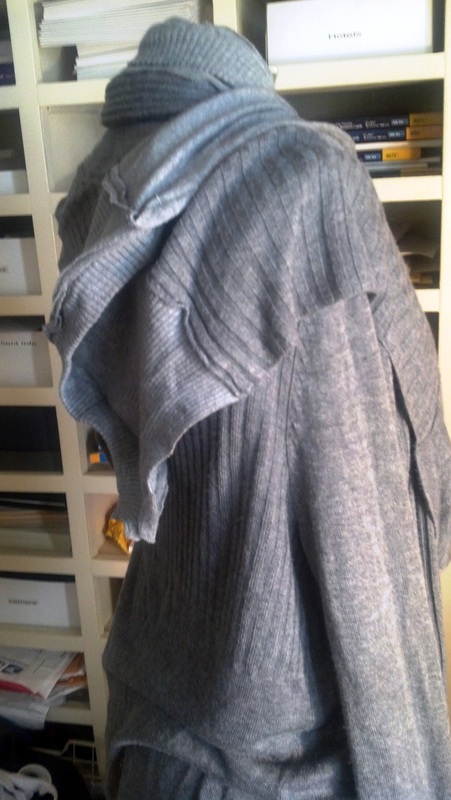 The triangular insert under the right arm gives the sweater room for me to wrap it and throw it over my shoulder.